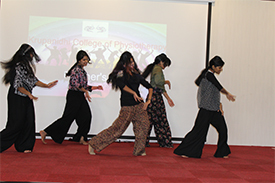 Krupanidhi college of physiotherapy organized a pre-conference workshop on the topic “Neural Mobilization and Improvement of posture” on 30th Nov 2018. 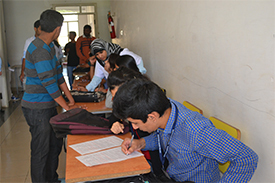 A total 52 of students from different institutions attended the workshop. 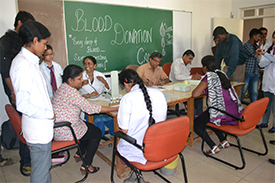 Resource person for the workshop was Dr.Kalidasan. 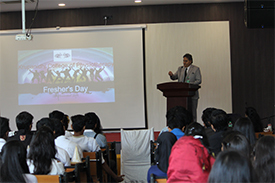 Workshop began with the Inaugural speech by Dr. Sam Paul and Dr. Shivakumar The morning session started with the introduction of the topic. 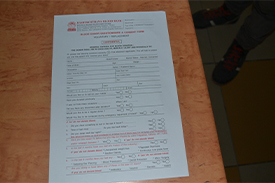 The workshop was very informative and personal attention was given to each participants. 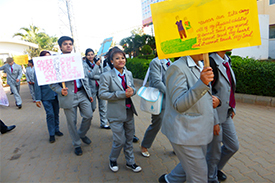 After a delish lunch, students headed back for the afternoon session. 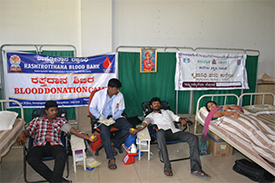 Hands on techniques were taught in a very simple and effective manner. 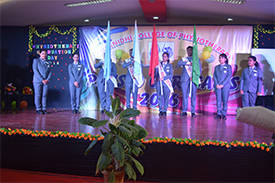 At the end, candidates were awarded with a participation certificate. 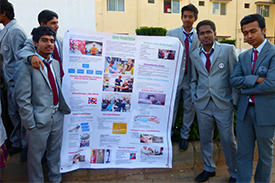 Workshop was a very informative and it gave students an idea about new technique towards rehabilitation. 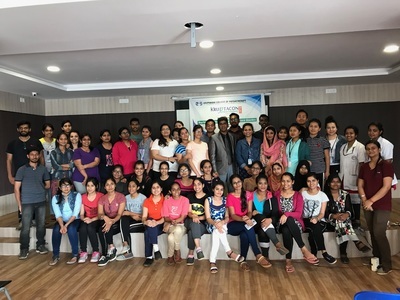 A workshop was done on the topic somatic diagnosis and lumbo-pelvic dysfunction by Dr. Ramana on 5th december 2018. 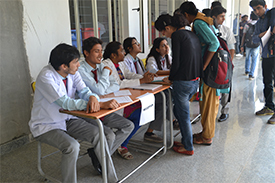 Two common dysfunction in lumbar L4 & L5spine; ERS (extension restriction spine) or closing restriction and FRS (flexion restriction spine) or opening restrictions were taught in details. 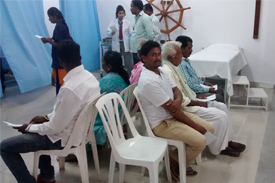 Further the causes of dysfunction such as muscle imbalance, iliopsoas tightness etc were discussed. 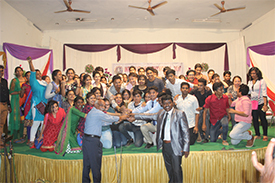 The next interesting part was management where three techniques (long axis stretch, cross friction, broadening technique) were practically demonstrated by the resource person. 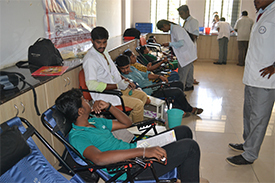 All the participants got hands on experience for the techniques. 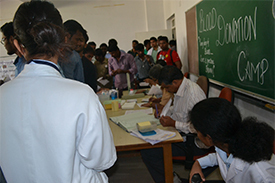 Sessions were very interactive session and clinical oriented. 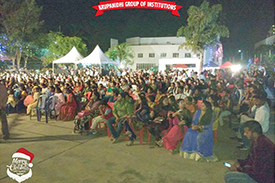 Sacral dysfunction and torsional dysfunction was also discussed. 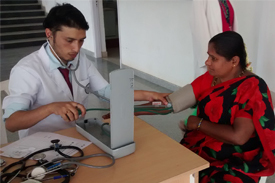 The knowledge, hands on experience and clinical reasoning will help the participants to serve the patients better. 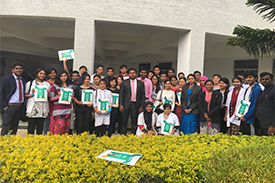 A total of 30 participants from different colleges attended the workshop. 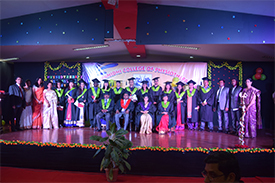 Study material and participation certificates were provided to all the participants. 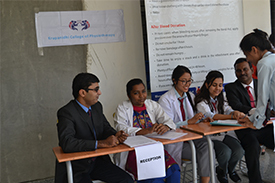 Krupanidhi College of Physiotherapy organized a pre conference workshop on 5.12.18, on topic “neuromuscular taping for hemiplegic patients”. 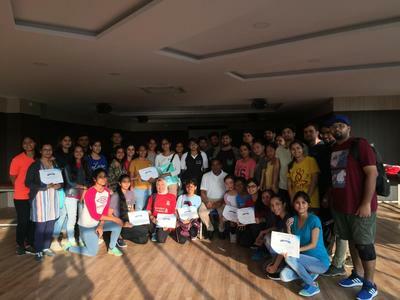 The resource person for the workshop was Dr. Yu Su Fen, a successful physiotherapist of vast 36 years of experience and a qualified taping specialist from Malaysia. 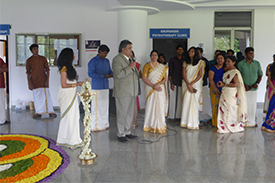 The workshop started with a warm welcome of the speaker by the director Dr. Samuel Paul Isaac and other faculty members. 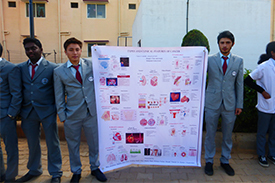 In the first half introduction about the topic was given and importance of the technique was explained. 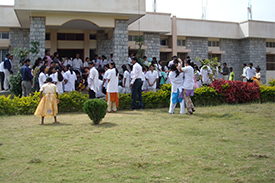 Then after a short tea break practical sessions started, a thorough demonstration was given, followed by the students’ practice of taping technique. 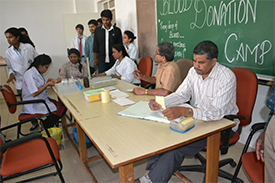 Every individual was given full attention and every student got the opportunity to practice the technique. 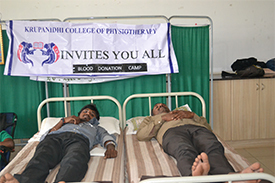 In the post lunch session tapping demonstration of rest of the joints were given. 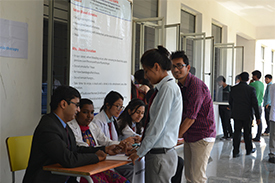 After each practical demo session, the resource person cleared the doubts of the participants. 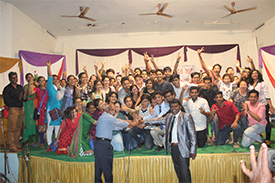 In the end, the resource person was facilitated and certificates were provided to the participants. 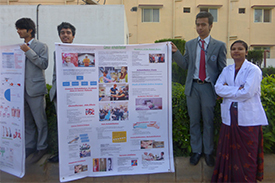 Undoubtedly it was a very useful workshop and opened up new dimensions for students in concern with rehabilitation. 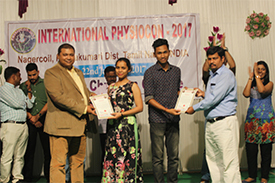 Krupanidhi college of Physiotherapy has organised KRUPTACON 2018, one day preconference workshop on Musculoskeletal strength and conditioning on 1st December, 2018. 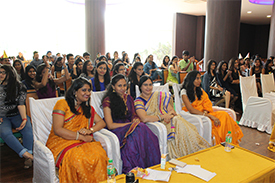 The workshop participants were total 42, which includes 70 % of participants from other colleges and 30 % from KCPT. 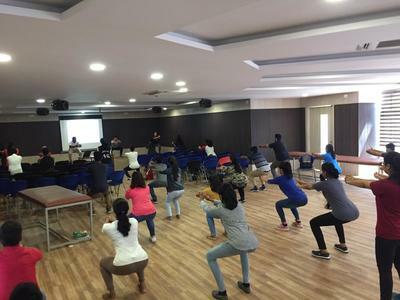 This preconference workshop was conducted by resource person Dr. Sivakumar, PhD, who have been teaching the strength and conditioning concept since 2012. 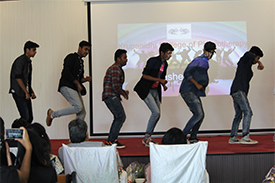 The participants were given innovative practical demo with more interactive sessions. 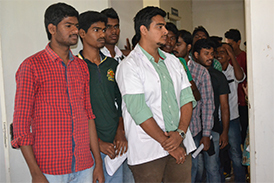 Each participant was given importance to learn the testing methods of strength and cardiovascular conditioning. 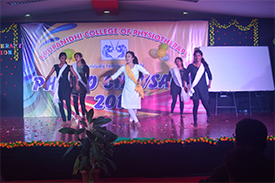 Most of the practical demo was conducted at our college fitness studio. 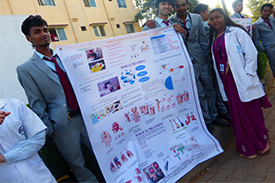 The ACSM guidelines were used for the sport specific musculoskeletal injury prevention. 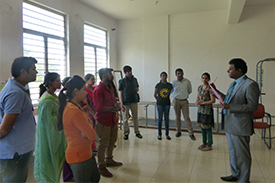 This preconference workshop was conducted with 8 hours of credits and all the participants were advised to give their feedback. 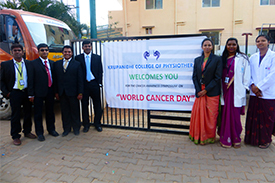 Krupanidhi College of physiotherapy organized a pre conference workshop on 4.12.18, on topic “BEST PRACTICE OF GUIDELINES FOR CERVICAL DYSFUNCTION”. 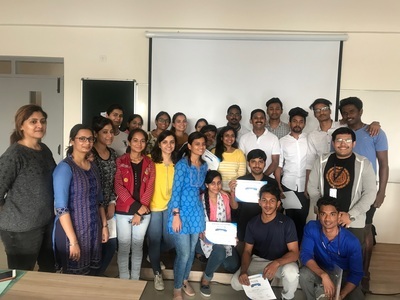 The resource person for the workshop was Dr. S. Sudhakar, MPT (Sports) PhD, research supervisor for research scholars in Vels University. 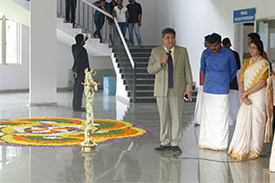 The workshop started with a warm welcome of the speaker by the director Dr. Samuel Paul Isaac and other faculty members. 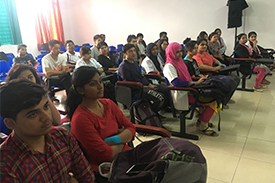 In the first half a brief introduction about the topic was given and importance of diagnosis and classification of patients with neck pain was explained. 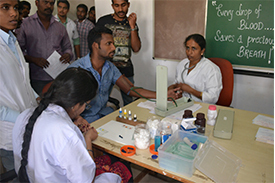 After a short tea break practical sessions started and thorough demonstrations were given, demonstrations were followed by the students’ practice of assessment and treatments techniques. 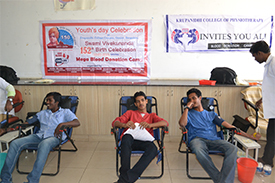 Every participant was given personalized attention. 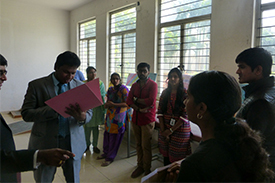 In the post lunch the session practical demonstration continued, also the resource person cleared the doubts of the participants. 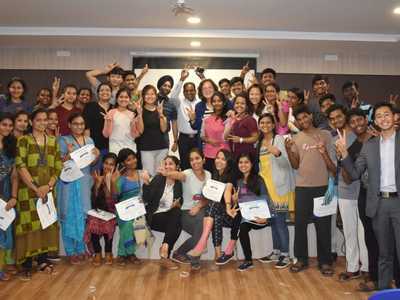 Undoubtedly it was a very useful workshop and opened up new dimensions for students in concern with rehabilitation for cervical dysfunctions. 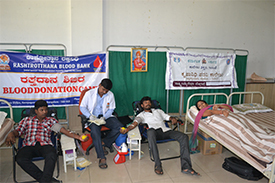 A total of 28 participants attended the workshop. 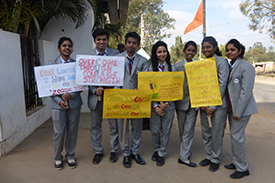 At the end, the resource person was facilitated and certificates of participation were provided to the participants. 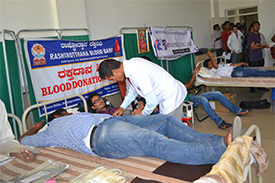 Blood donation camp was organized in association with RASHTROTHANNA BLOOD BANK at the college campus. 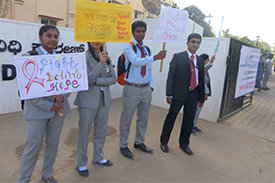 Students and staff voluntarily participated with enthusiasm. 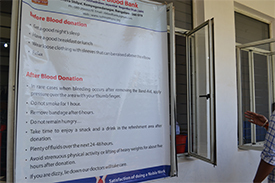 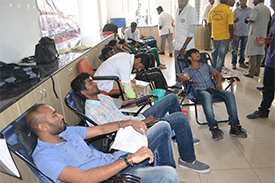 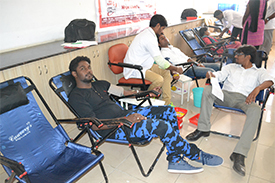 Many students , staff and people from neighboring community came forward to donate blood and contribute to the society. 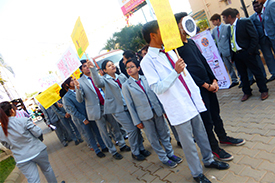 On occasion of WORLD CANCER DAY, an awareness rally was conducted by the students and faculty.The awareness rally emphasized on the treatment options and cancer rehabilitation.A poster competition was held for the students of various department and prizes were awarded for the winners. 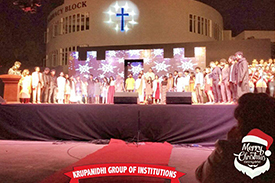 Christmas was celebrated with full spirit on the 17th Dec 2016 by the Krupanidhi group of institutions. 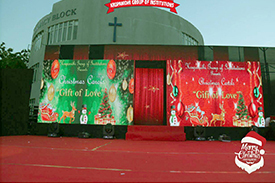 The celebration was marked with thought provoking skit, joyful music, carols and candle lighting. 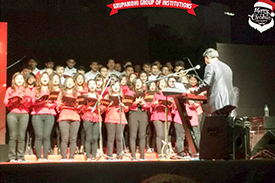 A memorable evening filled with heartwarming music. 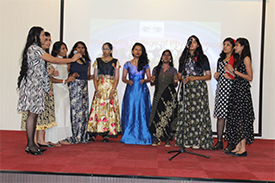 As a part of community rehabilitation students along with faculty visit Swanthana Center for differently abled female children. 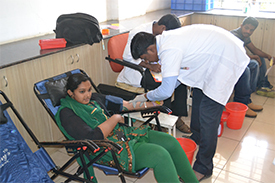 Treatment was given on regular basis to improve the functional ability of the children. 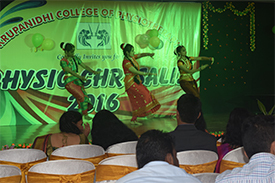 Fresher’s day celebrated on 26th Nov. 2016.Dr. 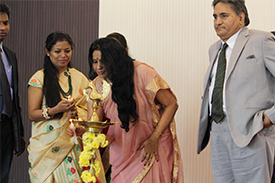 Prof. Suresh Nagpal and Mrs.Geeta Nagpal were the chief guests for the occasion. 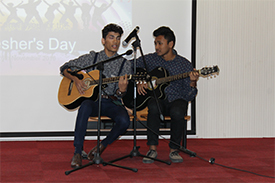 The newcomers were warmly welcomed .A formal introduction of the students was done followed by a number of colorful cultural and fun events. 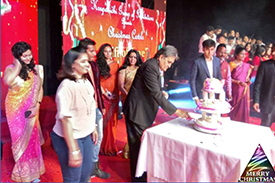 Mr. Anshul Singh and Ms. Sandwana Tom were named Mr. and Miss Fresher. 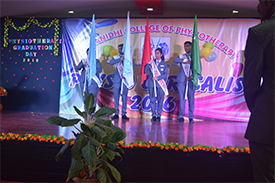 Physio Chrysalis, the physiotherapy graduation day ceremony was held on 13th June 2016 for the passed out students of 2015 at the college auditorium. 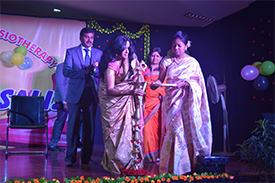 The chief guest for the ceremony, Mrs. Geeta Nagpal addressed the students with a motivating speech. 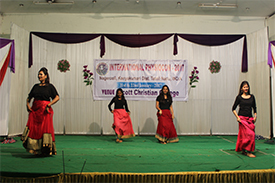 The college annual day and investiture ceremony was also held on the same occasion. 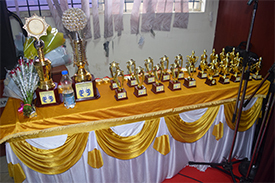 Awards were distributed for the winners of various cultural and sports events conducted throughout the year. 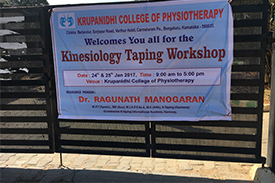 A two day workshop on kinesiotaping was conducted by Dr.Ragunath Manogaran, certified K taping instructor from international K-taping academy,Germany on 24th and 25th January 2016.The workshop was instrumental in understanding the concepts of kinesiotaping. 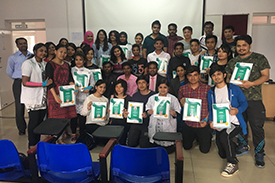 The participants had an opportunity to have hands on practical session on K taping application for upper and lower extremity muscles. 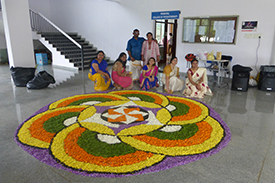 The joyous and colorful festival of ONAM was celebrated on 17th September 2016. 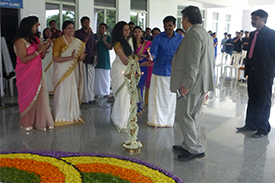 The students had made a beautiful onam attapukalam(floral arrangement on floor)and were in the traditional kerala attire. 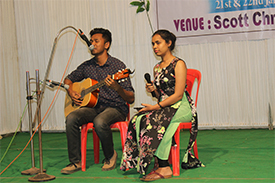 The function included Lamp lighting by Dr. Prof. Suresh Nagpal followed by traditional songs and dances of Kerala and various fun activities for students and staff. 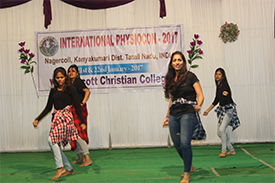 The students and faculty attended a two day international physiotherapy conference held in nagercoil, Tamil Nadu on 21st and 22nd January 2017.The conference included interactive sessions on recent physiotherapy advances and issues .An interstate cultural competition was also held in which our students achieved 1st place in Duet singing and 2nd place in overall culturals. 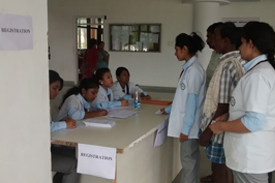 On the occasion of world disability day, a free physiotherapy camp was organized in the physiotherapy college OPD. 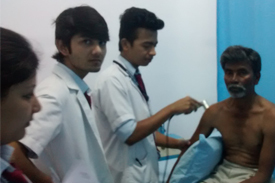 People from the neighboring villages availed free physiotherapy services.